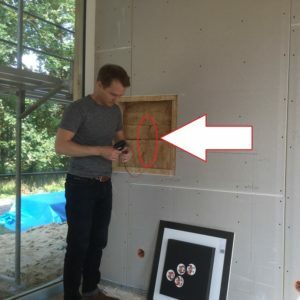 Our invisible loudspeakers are generously provided with pre-drilled holes for the screw connection. It is necessary to mount a screw in each pre-bore in order to avoid cracking or disturbing resonances. 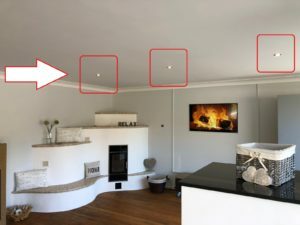 Particularly in the ceiling (but also in the wall), care should be taken to ensure that the speaker cables do not bump into the invisible speakers. The reason for this is that the loudspeakers produce vibrations which can cause unwanted noises on the cables or other components. To avoid this, the last meter of speaker cable will pass through the rock wool. Similar to loudspeaker cables, other devices are installed in the wall or ceiling. We recommend that built-in devices, such as LED spots, should not be placed near the speakers. If this is not possible, we recommend installing higher quality devices, as these often have the advantage that they are not so easily excited to vibrate. 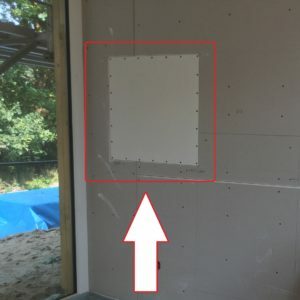 If disturbing resonances should occur, the built-in devices can be damped with adhesive against vibration. A tone generator, e.g. 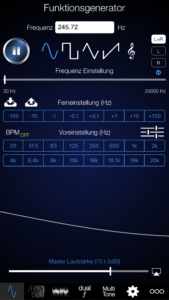 Audio Funktionsgenerator for iOS, is suitable for easy detection of disturbing resonances. For this the frequency range from 20 – 20,000 Hz is sweeped through. In order to detect errors, the volume should be approx. 75%. Please note that the invisible loudspeakers must already be installed and plastered over. First the position of the disturbing resonances should be determined. 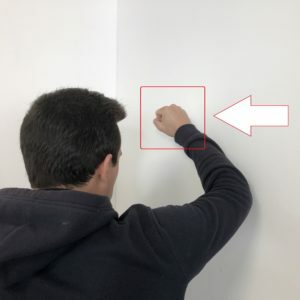 The ball of the thumb can be used to check the wall or ceiling for “rattling”. After detection an additional screwing or gluing can solve the problem.